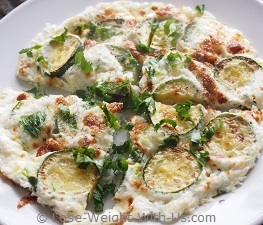 This quick and easy egg white zucchini frittata recipe is ready in just 20 min and will make a perfect start to your day. 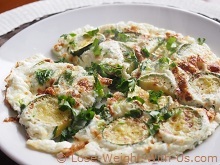 The recipe is low in calories and carbs (4g of net carbs), and is suitable for a low carb high protein diet. Recipe Nutritional Profile: Diabetes Appropriate, Healthy Weight, Healthy Heart, High Protein, Low Calories, Low Carbs, Low Cholesterol, Low Fat, Low GI, Low Sodium, Gluten Free, Vegetarian. Whisk the egg whites with a pinch of salt, 2 tbsp. of water, cottage cheese and spring onion together in the bowl. Heat 1 tbsp. 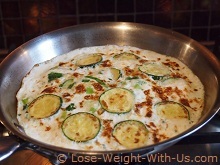 of olive oil in a large non-stick frying pan with a lid. When the oil is hot enough place the zucchini slices into the frying pan and fry them 3-5 min on each side or until they turn lightly brown. Empty the zucchini onto the plate covered with kitchen paper. Pat the zucchini with the paper on both sides, removing the oil. Wash the pan and preheat again over a low to medium heat with the remaining 1 tbsp. 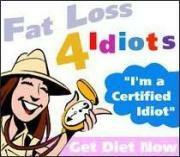 of olive oil. Add the egg mixture to the pan and cook for 1 min for the bottom to set. 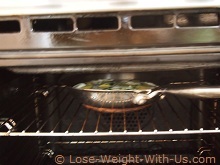 Add the zucchini, spreading the slices over the mixture - the zucchini needs to be pushed well into the mixture. 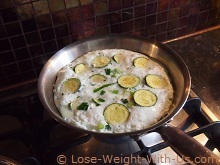 Cover the pan with a lid, reduce the heat and cook for 5 min until the eggs are puffed up. Take the lid off the frying pan and put under a preheated grill for 1-2 min, just until the top goes golden. Serve right away with 1 tbsp. of parsley to garnish.